Jayne Stokes is a qualified and registered social worker, a qualified counsellor and qualified and registered teacher for both children and adults. Her education experience includes working as a Head of Faculty and a Head of Adult Education at a Community College, Guest Lecturing and Examining for Universities, Social Work Education Assessment and is a qualified NVQ External Verifier. In her social care experience, Jayne has been a Director of Development and External Affairs, Director of Services, Adoption Panel Chair, Head of Youth Fundraising and Marketing, Frontline Manager of Fostering, Child Protection, Assessment and Disability Teams, Family and Contact Centres. Jayne has been a regular chair and speaker at national conferences, a trustee for charities, a specialist foster carer, and served as a Parish Councillor. Until May 2018 Jayne was Director of Development and External Affairs at a large charity. 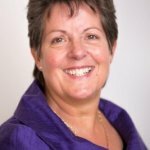 Since then she established her own consultancy, delivering mentoring and coaching to senior managers who aspire to secure executive roles while becoming Director of a new charity – helping it to develop, initial branding and marketing and driving through to delivery.